why not enforce the laws that lead to cyclists getting hurt? Every day I see cars blow through red lights, speed out of driveways, NOT stop while turning right on red. The cops can’t even successfully enforce the hands-free cell phone law in this state. So make the roads safer for everyone. Enforce the existing laws on the operators of these 1 and 2 ton vehicles and we all might experience a safer commute. But it won’t happen. Almost everyone drives so they feel sorry for the inconvenienced drivers. Even red light and speed cameras are somehow seen as a violation of the rights of drivers to get where they want unencumbered by basic safety requirements. Please make it stop. Enforce the laws. There has been a lot of press about self-driving cars, and as they come closer to public availability I find that people generally fall into 2 camps; either they are enthusiastic and think they will be a great time (and even money) saver or they are skeptical and can’t imagine an autonomous vehicle being as safe as a human-driven car. There is a small third group that likes driving, doesn’t like to give up control, and imagines they won’t get to places as fast as the law-abiding robots. That’s hard to imagine in many of our traffic-choked cities where commute speeds average something like 12 mph, but I digress. With approximately 1 death per hour in California due to cars, it’s hard to fathom just how computers could do worse, especially considering that so many deaths and injuries are due to inattention, distraction and DUI’s – failings which computers generally aren’t vulnerable to. Having been around machine control and automation all my working life, I understand the challenges but also know that the control systems and sensor technology are more than capable of providing greater levels of convenience and safety than we expect today. And particularly, the greatest beneficiaries will be the pedestrians, cyclists and other road users who aren’t protected by the cocoon of a modern car with airbags, crumple zones and the like. 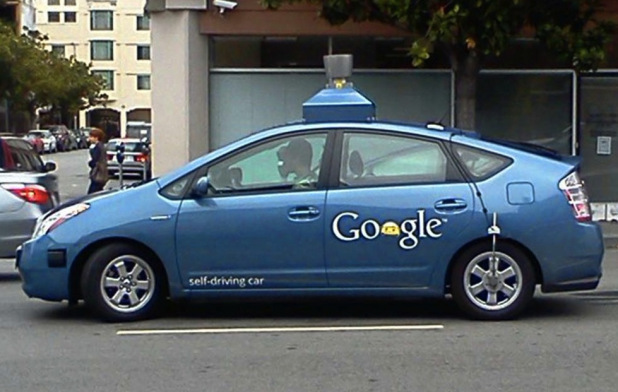 This video from Google shows some of the strides they have made to operate safely around pedestrians and cyclists – check this out Self-driving cars on city streets. So I look forward to the day we see these vehicles on the road and following are some of my primary reasons. Please let me know if you have others to add to this list. I can have one come pick me up at work if I’m too lazy to ride my bike home.